Photo: Fairfield Police Department Photo. FAIRFIELD - Christopher Lyddy has been promoted to Chief of Police during a ceremony Tuesday night. 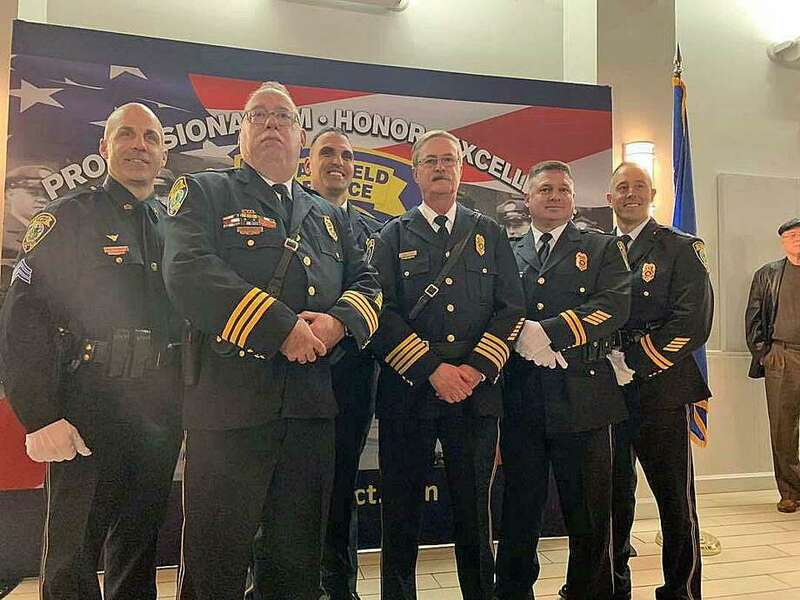 It was one of six promotions made official at the ceremony. Lyddy has been acting chief since the departure of former Chief Gary MacNamara last October. MacNamara took a job at Sacred Heart University as executive director of public safety and governmental affairs. MacNamara had been chief since 2010 following the retirement of Chief David Peck. Lyddy has been with the Fairfield Police Department since 1982. He has worked in the patrol, detective and special services divisions over the course of his career in Fairfield. A native of Fairfield, Lyddy joined the Police Explorers at age 15 and has continued his involvement with the Explorers since he began working as a police officer. Former Capt. Donald Smith is now second in commaned after being promoted to Deputy Chief. The department employs 110 sworn officers, 70 authorized special traffic agents, 15 telecommunicators, four animal control officers and seven marina guards. The department has a vehicle fleet of 61 which includes patrol cars, four motorcycles, two boats and a wave runner, command post, undercover vehicles and administrative vehicles.